Were Hedge Funds Right About Souring On Activision Blizzard, Inc. (ATVI)? Before we spend days researching a stock idea we’d like to take a look at how hedge funds and billionaire investors recently traded that stock. S&P 500 Index ETF (SPY) lost 13.5% in the fourth quarter. Seven out of 11 industry groups in the S&P 500 Index were down more than 20% from their 52-week highs at the trough of the stock market crash. The average return of a randomly picked stock in the index was even worse. This means you (or a monkey throwing a dart) have less than an even chance of beating the market by randomly picking a stock. On the other hand, the top 15 most popular S&P 500 stocks among hedge funds not only recouped their Q4 losses but also outperformed the index by more than 3 percentage points. In this article, we will take a look at what hedge funds think about Activision Blizzard, Inc. (NASDAQ:ATVI). Is Activision Blizzard, Inc. (NASDAQ:ATVI) a superb investment now? Investors who are in the know are becoming less hopeful. The number of bullish hedge fund bets were cut by 15 lately. Our calculations also showed that ATVI isn’t among the 30 most popular stocks among hedge funds. ATVI was in 59 hedge funds’ portfolios at the end of the fourth quarter of 2018. 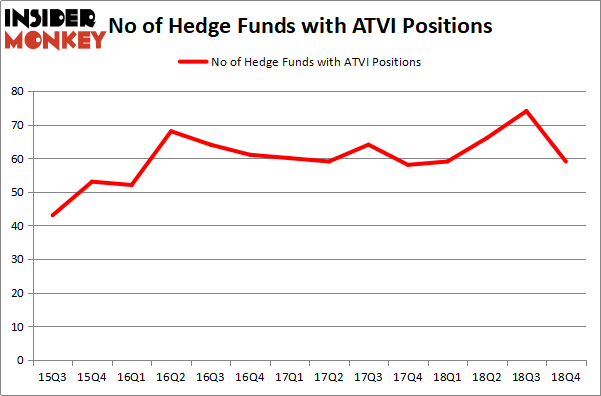 There were 74 hedge funds in our database with ATVI holdings at the end of the previous quarter. We’re going to view the key hedge fund action regarding Activision Blizzard, Inc. (NASDAQ:ATVI). Heading into the first quarter of 2019, a total of 59 of the hedge funds tracked by Insider Monkey were long this stock, a change of -20% from one quarter earlier. By comparison, 59 hedge funds held shares or bullish call options in ATVI a year ago. So, let’s check out which hedge funds were among the top holders of the stock and which hedge funds were making big moves. The largest stake in Activision Blizzard, Inc. (NASDAQ:ATVI) was held by Lone Pine Capital, which reported holding $729.8 million worth of stock at the end of September. It was followed by Coatue Management with a $419.6 million position. Other investors bullish on the company included D E Shaw, Alkeon Capital Management, and Matrix Capital Management. Since Activision Blizzard, Inc. (NASDAQ:ATVI) has faced a decline in interest from hedge fund managers, logic holds that there is a sect of hedge funds who sold off their positions entirely heading into Q3. 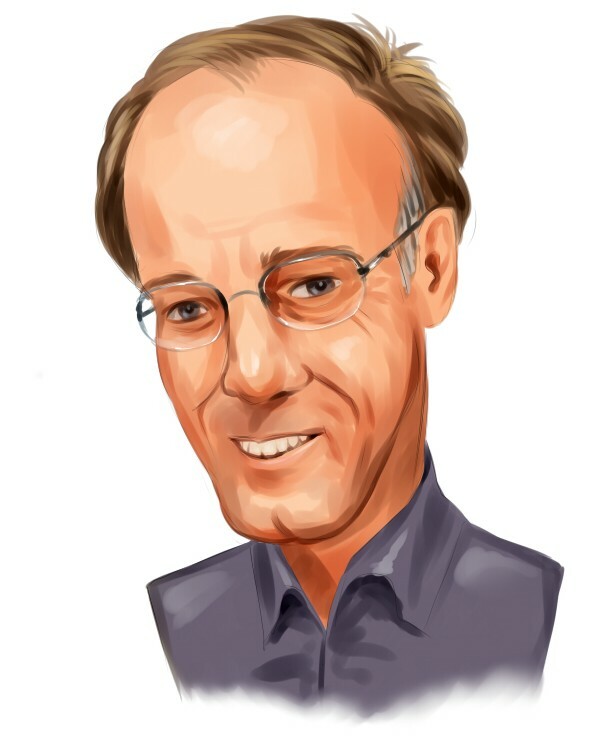 It’s worth mentioning that John Armitage’s Egerton Capital Limited cut the largest stake of the 700 funds tracked by Insider Monkey, worth close to $623.7 million in stock. Robert Pitts’s fund, Steadfast Capital Management, also dumped its stock, about $225.3 million worth. These transactions are interesting, as total hedge fund interest dropped by 15 funds heading into Q3. Let’s also examine hedge fund activity in other stocks similar to Activision Blizzard, Inc. (NASDAQ:ATVI). These stocks are BCE Inc. (NYSE:BCE), Public Storage (NYSE:PSA), Banco Bilbao Vizcaya Argentaria SA (NYSE:BBVA), and The Progressive Corporation (NYSE:PGR). This group of stocks’ market caps are similar to ATVI’s market cap. As you can see these stocks had an average of 21.5 hedge funds with bullish positions and the average amount invested in these stocks was $893 million. That figure was $2411 million in ATVI’s case. The Progressive Corporation (NYSE:PGR) is the most popular stock in this table. On the other hand Banco Bilbao Vizcaya Argentaria SA (NYSE:BBVA) is the least popular one with only 4 bullish hedge fund positions. Compared to these stocks Activision Blizzard, Inc. (NASDAQ:ATVI) is more popular among hedge funds though several hedge funds dumped the stock in Q4. Our calculations showed that top 15 most popular stocks among hedge funds returned 19.7% through March 15th and outperformed the S&P 500 ETF (SPY) by 6.6 percentage points. Unfortunately ATVI wasn’t in this group. Hedge funds that bet on ATVI were disappointed as the stock lost 4.2% and underperformed the market. If you are interested in investing in large cap stocks, you should check out the top 15 hedge fund stocks as 13 of these outperformed the market. Were Hedge Funds Right About Selling Northrop Grumman Corporation (NOC)? Were Hedge Funds Right About Getting Into Bank of Montreal (BMO)? Is Vertex Pharmaceuticals Incorporated (VRTX) A Good Stock To Buy? Is Illinois Tool Works Inc. (ITW) A Good Stock To Buy? Were Hedge Funds Right About Dumping FedEx Corporation (FDX)? Were Hedge Funds Right About Ecolab Inc. (ECL)?